Facebook's Privacy Shift: How To Protect Yourself : All Tech Considered Bowing to complaints from bloggers, senators and consumer groups, Facebook has retooled its privacy settings to give users easier ways to control their personal information. Facebook CEO Mark Zuckerberg delivers a keynote address in San Francisco in April. The onus remains on you. Facebook has made it easier to hide information from strangers, but you still have to click some buttons to do so. Look for your privacy settings under the "Account" tab. Facebook will be rolling out a simplified page allowing you to see at a glance which types of your information are protected (photos, birthday, etc.). You can limit the pool of people who can see some or all the material on your Facebook page. "Everyone" — meaning everyone on the Web — is the default setting. Facebook's partner sites can see whatever is open to "everyone," but the new policy will allow users to block those sites. As with e-mails, treat what you post like a postcard that strangers might see. You don’t know what your friends will forward or repost. Responding to complaints that it had spread users' personal information around too freely and easily, Facebook unveiled a new set of privacy settings Wednesday. The revamped settings, which will "gradually launch," should help alleviate some of the confusion people have felt about security on the world largest social-networking site. Controversial controls launched last month required users to "opt out" of dozens of settings that otherwise left much of their personal information exposed to anyone on the Web. The new controls are meant to make things simpler, Facebook CEO Mark Zuckerberg said at a news conference announcing them. It will soon take just a couple of clicks for users to put limits on who can view or read content they post. Once they pick "friends only" or "friends of friends," that will become their default setting and won't have to be updated as Facebook introduces new products and features. Users will still be able to use the much-derided "granular" controls that allow them to set different privacy levels for different types of content -- letting anyone see the list of schools they went to, for instance, while only allowing friends to view photographs. Users will also be able to block third-party websites or applications such as games from gaining access to their information. Users will also be able to hide more of their basic profile information. People searching your name through other sites such as Google will no longer learn quite as much about you. None of these changes are the default setting for users. On Facebook, the "everyone" setting means everyone -- everyone with Internet access -- can learn about your taste in music or your travel plans. Many users assumed that the term "everyone" meant just their friends. One of the major complaints has been that the company hadn’t properly explained the need for users to change settings when they wanted to limit access to information. But Facebook hopes the new system will be simple enough and flexible enough to end the recurrent need to revise its privacy settings. 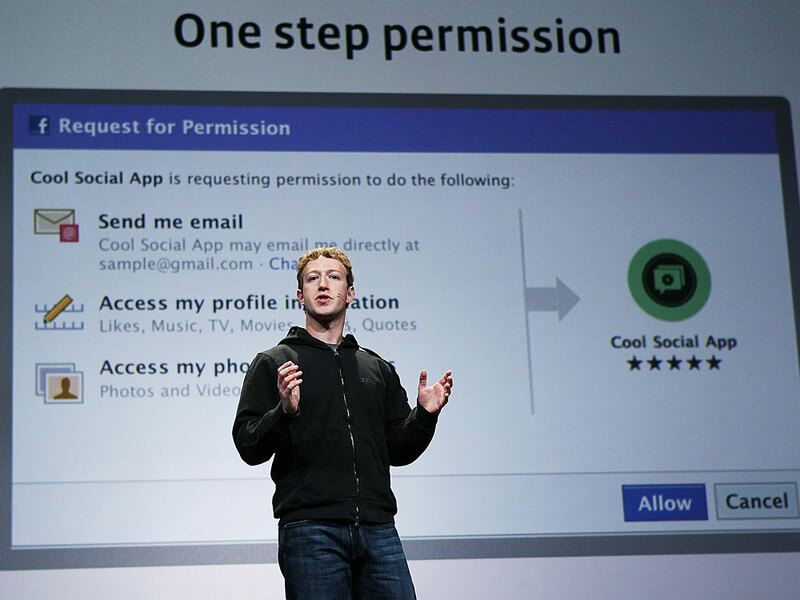 "The overhaul of Facebook's privacy model is complete," Zuckerberg confidently announced. The soon-to-be-outmoded privacy settings left Facebook users feeling vulnerable, as they had to negotiate cluttered menus of privacy settings. Information was exposed to the world not only about their birthdates and religious views but their activity on other "Facebook-enhanced applications and websites" as well. If a user links on her Facebook page to a story on a newspaper website, for instance, strangers visiting that site can see that she has "liked" that story -- even if it’s about a sensitive subject. Earlier this month, 15 consumer groups filed a formal complaint with the Federal Trade Commission. "Facebook now discloses personal information to third parties that Facebook users previously did not make available," the groups said. Senators, bloggers and plenty of Facebook users -- including several of my own online pals -- had lodged similar complaints about "lack of privacy" settings. Some remain wary. "We'll see how this works out," Shannon Stepp wrote in a comment on the privacy announcement Zuckerberg posted on the Facebook blog. "I hope it doesn't, by default, reset all my current settings to open to everyone so that I have to go through a bunch of hassle to redo everything again." Facebook's frequent need to update its settings points to a larger debate about privacy in the digital age. Some people believe that the benefits of staying constantly in touch and being able to bare all to the known world outweigh old-fashioned concerns about privacy, which are very much in flux anyway. Facebook has been unabashed about pushing this particular envelope. "We believe that people want to share information and they're best able to do that when they have control" in deciding what to share, Zuckerberg said at the news conference. But privacy advocates are not convinced. The wealth of information that people have shared, often unwittingly, means that privacy has to be sheltered more carefully online than it has been, they say. Marc Rotenberg, the president of the Electronic Privacy Information Center, says that the new privacy settings addressed "several" of the concerns raised in the complaint his group and others filed with the FTC. Nonetheless, he says, "It is time now for Congress to move forward and update privacy laws for the digital age."